Three or four times per year, we gather for a morning of shared, intentional prayer for our church and our missionaries and for independent devotional time. A couple of times each year, our elders will take a Sunday evening to focus on prayer for those who seek healing for personal, spiritual, emotional, and physical issues. There is some shared prayer time for all attending, and individuals can also receive private prayer with a few elders. During our time of Communion on the first Sunday of each month, leaders are available for private prayer at the back of the sanctuary on the stair landings. Every Sunday an elder is available to pray with you at the front of the sanctuary immediately following the morning worship service. 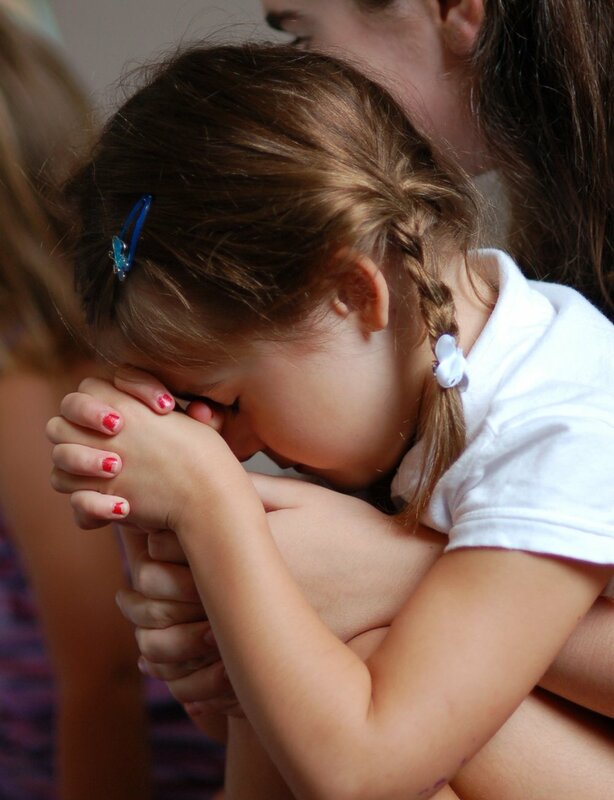 Children become more comfortable with the idea of prayer as they are given opportunities to try it themselves in settings that are calm and low pressure. Every Sunday at Immanuel our children have the opportunity to write private prayers to God, to receive prayer from a friend, to contemplate names of God, to leave their prayer requests at the foot of the cross, and to pray for their Immanuel family. Visitors to our food pantry during its Tuesday open hours have access to a bilingual leader who will pray over current struggles. A short booklet is available in the church’s Gathering Place with short scripture readings, a song’s lyrics, and prayer requests from the various ministries taking place at Immanuel. Prayer warriors are encouraged to pick up this guide! A missions directory with information and specific requests from Immanuel’s supported missionaries and ministries is also available in the Gathering Place as a guide for prayer.